I stayed up until midnight last night completing the finale of OITNB and it was well worth it. I like this season more than the first. It gets outrageous at times and is totally unrealistic, but it’s fun, witty, and always keeps me guessing and entertained, so I’m a fan. Now it’s probably going to be a year until the next season comes out. Oh, the anticipation! I slept in until 7:30am and opened the shades to see that it rained overnight and looked like it was a lot. I was very happy to have missed another bout of rain! It seems that the cool front has arrived and the humidity has lifted for this next leg, so I’m really pumped about that! I spent the morning doing my chores, eating, and catching up on computer correspondence. Again, time flew and before I knew it, it was checkout time. The hotel shuttle had me on trail by 12:45pm. I was looking forward to starting anew with a reset of great weather and the new state of New Hampshire. 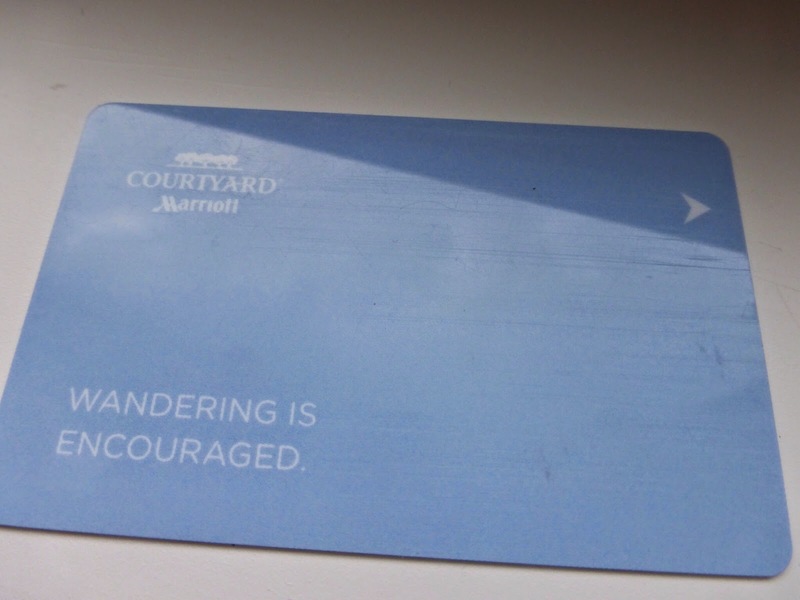 I was even motivated by the inspirational slogan on my hotel keycard. I found it amusing that the trail started back into the woods just beyond the Dartmouth softball field. It was kinda like Narnia where you step directly into a whole other world and I was immediately immersed in a classic forest of pine trees, roots, and rocks. 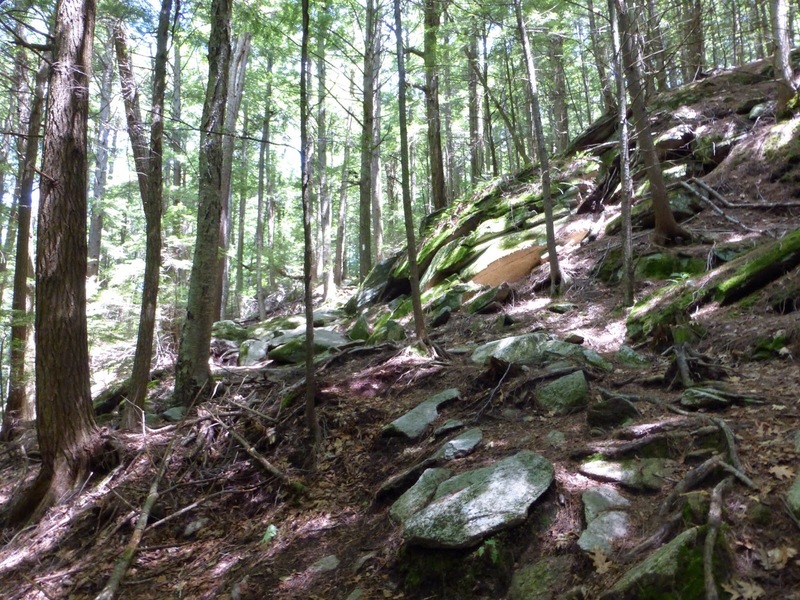 There was a decent amount of uphill today, but it was fairly gradual and motivating to think that the trail is gearing up to enter White Mountain National Forest (the Whites!). 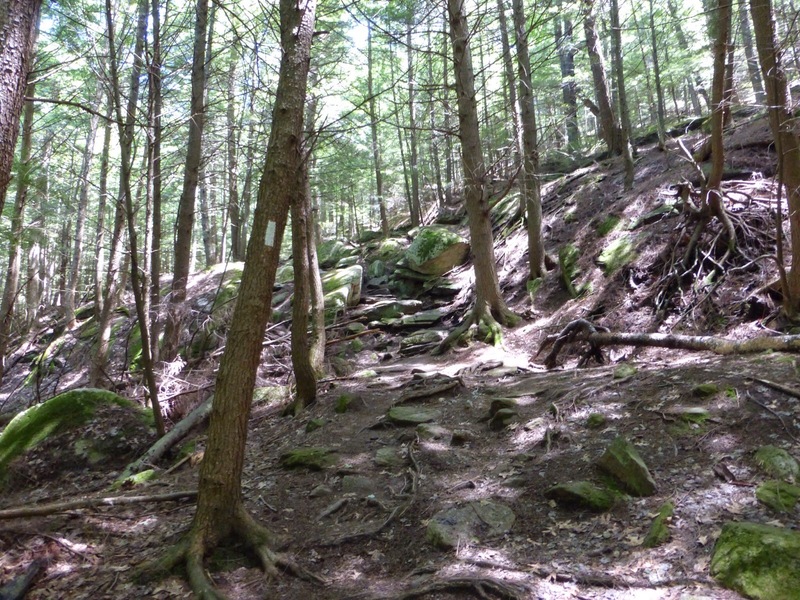 I’ve heard about it for years and it should be a, if not the, highlight of the AT. I should officially enter the day after tomorrow and soon the hiking will get more precarious with steep rocks. My mileage should decrease quite a bit, but I’m not sure where it begins, so I brought plenty of food and buffered for lower mileage days. I’ll give more details about the Whites as I get closer. Halfway through my hiking today, I approached a spot where I was going to sit down for a break and to eat the Subway sandwich I packed in. As I came to a clearing by a road, Geared Up was standing there by some trail magic. What perfect timing! As we were sitting down, the woman who maintains the trail magic cooler drove up with her son. Her name is Kate and she also hosted Geared Up and another hiker in her home last night. This town is so hiker friendly! Kate left more cold drinks, fruit, and candy. Instead of soda, she left Gatorade, Vitamin Water, and various nice refreshing teas and lemonades. Most coolers just have carbonated drinks, which I don’t drink, so this was awesome! She had my favorite Strawberry Gatorade and it hit the spot with my Subway. THANK YOU Kate for some quality trail magic! Geared up is a pretty minimal hiker. 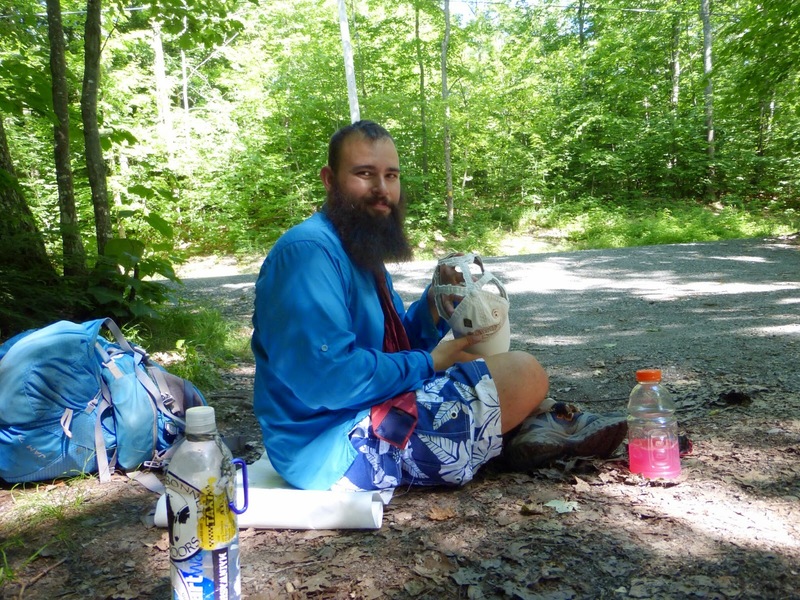 Here he is with his new white Tyvek that he somehow sleeps on without a sleeping pad, his SmartWater bottle with stickers he’s had since the start of the trail, and his hat which he cut to ventilate in the heat…and the strawberry Gatorade! I hiked with Geared Up the next few hours and we both enjoyed that. His plan was to hike and hour or so later to a shelter further north where his friend is also staying. I might see them tomorrow. Geared Up will be resupplying tomorrow night or the next day at a place called Hikers Welcome Hostel. There they have a listing of stealth campsites in the Whites and Geared Up is going to email it to me, yay! 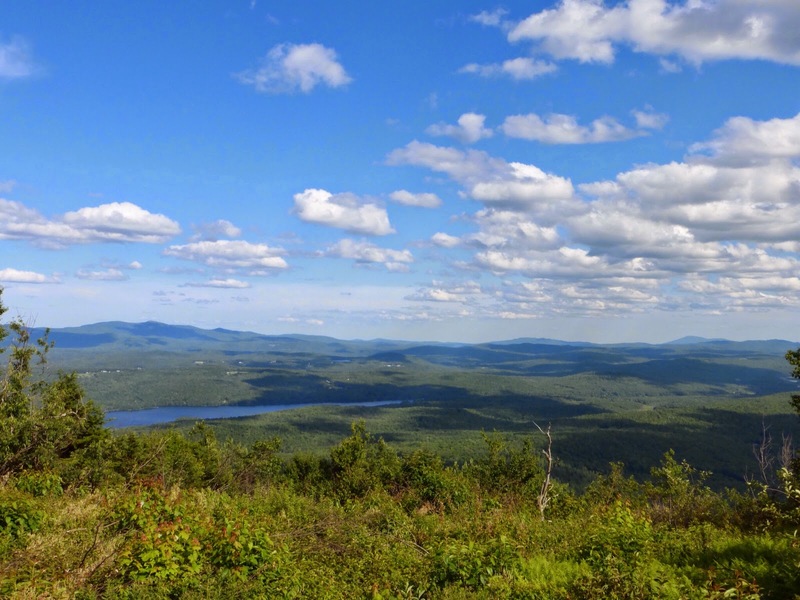 There is limited camping in the Whites and there is a hut system that is $125/night where large amounts of hikers sleep in bunkhouses and are fed meals. Thru hikers can do a work for stay option to stay for free if they get there early enough to grab one of the two WFS spots, but accommodations may be more rustic (like the dining room floor), food is leftovers later at night after guests have eaten, and jobs vary depending on those running the huts and you can be asked to stay late the next morning. 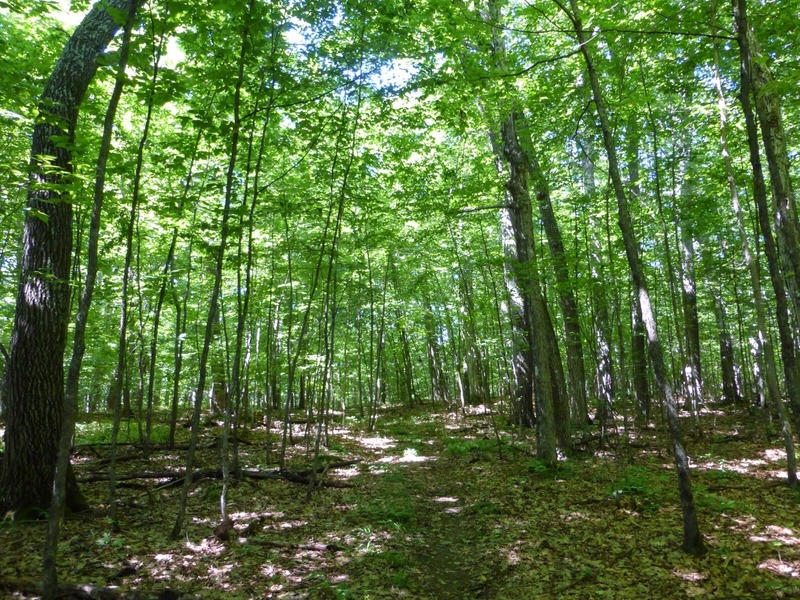 I have no interest in staying in the huts and $8 campsites are available in some areas. There is a possibility of stealth camping which is basically what I do most nights, but there are many restrictions as to where that can happen. A stealth campsite listing would be very convenient and I hope Geared Up is able to send me a copy. Here is the one main view from today on Moose Mtn. I stopped at 6:15pm, as all that was ahead of me in the next hour was a marshy beaver pond area and a pretty steep climb. I’m happy to have a relaxed campsite tonight as I camped later most nights last leg. I’m really trying to set a more relaxed tone so I can enjoy the Whites. Looks like plenty of climbing tomorrow and I’m actually looking forward to it with this nicer weather! One last thing I want to mention. 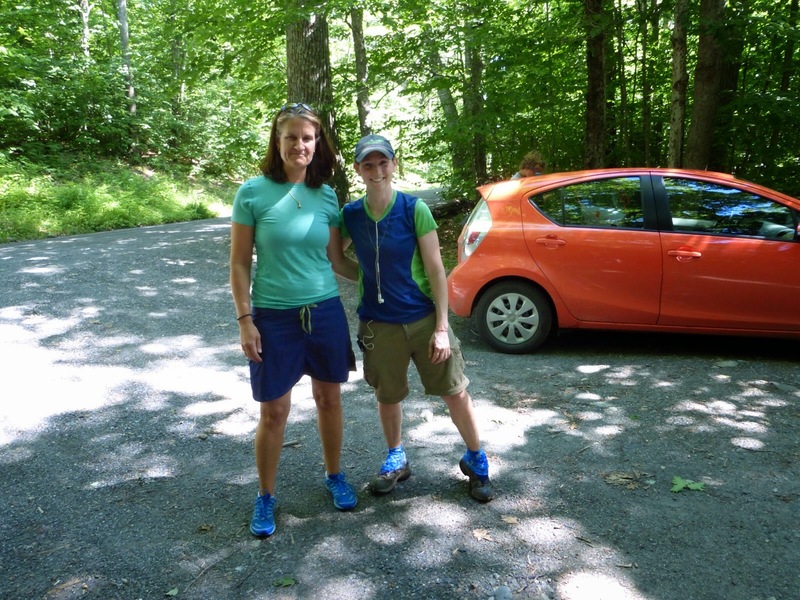 On Day 19 I camped with a woman who is trying to become the oldest woman to complete the AT. Her name is Drag-n-Fly and she will be 74 in September. A news station down south did a story on her and she had gotten over halfway and is doing great. I really like her positive and realistic attitude and she is a complete inspiration! Click here to see the footage of the news story on her. 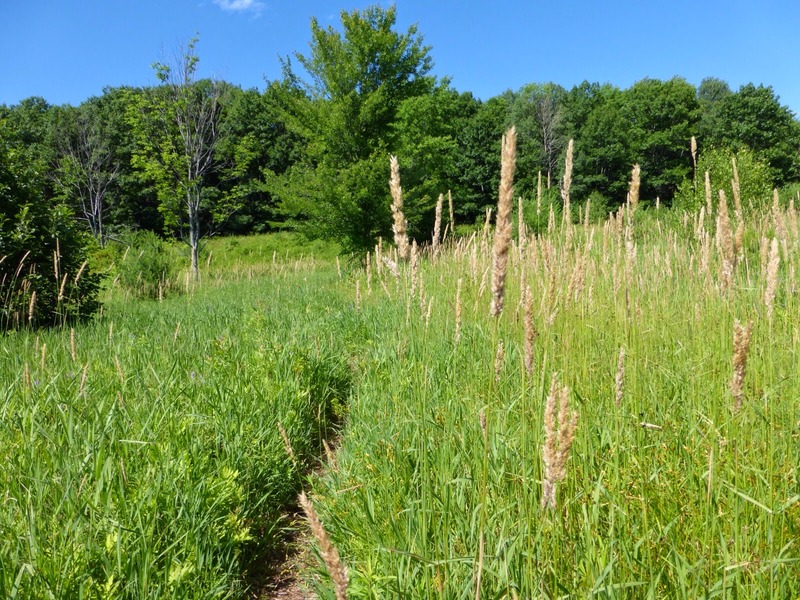 Click here to see her online journal which is delayed a bit as she and her hiking partner Freckles send it home to be typed up and put online. I’m rootin’ for her and I know many of you would love to follow her. Even send her an encouraging email through her journal. Go Drag-n-Fly Go!! !